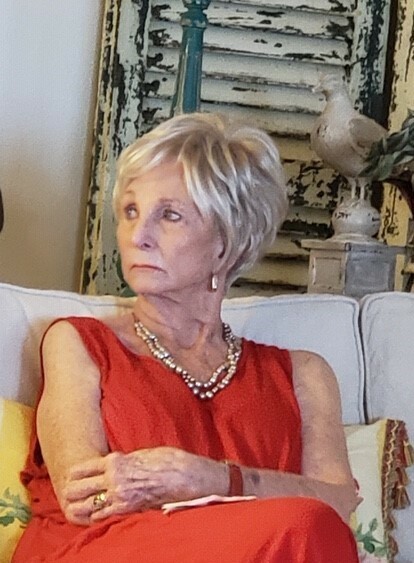 Betty Bland Meri-Akri, age 80, of Fort Walton Beach, Florida passed away on February 4, 2019. Betty was born on May 4, 1938, in Valdosta, Georgia to Lucy and JK Bland. She lived and traveled all over the world, before settling in Fort Walton Beach over 30 years ago. Betty was an Episcopalian, with her faith being a very important part of her life. She was very active in the Flower Guild at St. Simon’s, where she loved creating arrangements for all to enjoy. She was a avid foodie and cook – often delighting her family and friends with gourmet dishes influenced from her journeys around the world. Nothing delighted her more than an evening of fellowship with friends culminating at the dinner table, except maybe an arousing game of cards. Betty had a fun, competitive spirit which could be seen in her love of life. She was a successful entrepreneur. Survivors include her husband, Lt. Colonel Alexander Meri-Akri (retired); her three girls, Michelle Walker, Cindy (Tim) Sprott, and Lori Cairo; her two step-daughters, Angela (Jack) Bay, and Jene VanBaest; seven grandchildren; and her two sisters Gloria (Frank) Roberts and Sharon (Rick) Abbott. She will be greatly missed. Please join us celebrating her life Friday afternoon February 8, 2019 at 2:00 p.m. at St. Simon’s on the Sound Episcopal Church, 28 Miracle Strip Pkwy SW, Ft. Walton Beach, FL. In lieu of flowers, donations may be made to the Regency Hospice at 11 Racetrack Road NE, Suite G, Fort Walton Beach, FL 32547.